When selecting a towing and transport company in all areas, you want a dependable service company with proven track record of customer satisfaction. Famous Heavy Towing Center is the trusted transport company in all area. Our team of drivers uses the latest technology and state-of-the-art towing equipment for any job whether big or small. Not many of our competitors have them nor are they equipped with to the truck and the equipment to handle large, heavy-duty towing. It is not only about our tow truck and our equipment to get the job done, we are available to provide the services you require 24 hours a day, seven days a week, 365 days a year. We also offer commercial long distance service, one of the most trusted in all areas. Whether you are in the locality or out of state, we can haul your machinery or cargo anytime, anywhere. Each of our tow truck has dedicated drivers that are licensed and certified to handle different emergency situations. 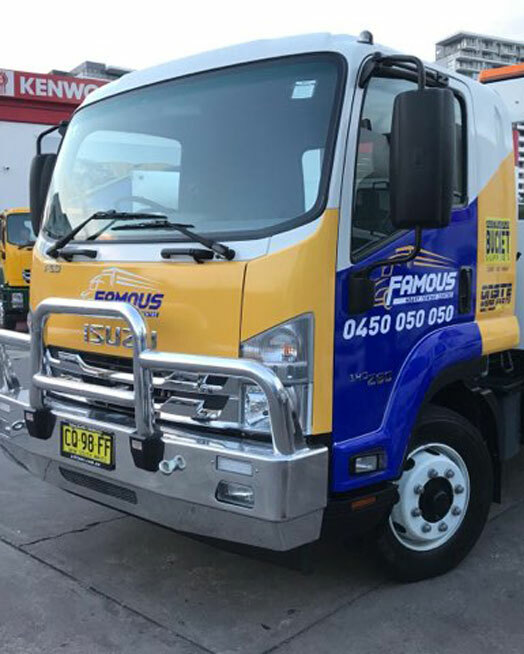 Whether you are stranded on the road or you need to remove an abandoned truck or your truck won’t start from your property, you can depend on Famous Heavy Towing Center to get the job done. We can also provide road assistance and a variety of services to help you when you are in a jam. Our mission is to provide our customers with safe and reliable towing services and transportation with an emphasis on customer service and value by utilizing quality personnel and resources. Offer sot effective, environment-friendly and problem-solving solutions that will help our customers. To provide a fair return to our stakeholders and have a rewarding work environment. We can do this by adhering to our time-tested traditional values.